Our small Town of Colonial Beach had a busy summer with lots of visitors coming to enjoy the beach, river, and our small-town charm. Now the holidays are here and we are planning for a great Thanksgiving and Christmas! God is up to something good in Colonial Beach and in all of our lives! We are reaching out to the community with His love and seeing good things happen. Many are in desperate and dire situations due to economic conditions in our country. We are able to show them that when Jesus is all you've got, you find out He's all you really need! God is bringing increase to River of Life. We are seeing the results of the many spiritual seeds that have been sown in Colonial Beach, as well as the many prayers for revival! It is time for the people of God to stand strong in His mighty power and proclaim His Word is sure. If you'd like to view messages and enjoy our services, click on the "Media" tab and let us know if you enjoy what you see and hear. 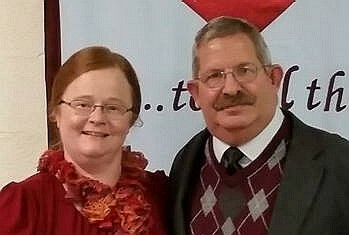 My wife and I are ordained and covered by Pentecostal Faith Assemblies, Inc. of Ponca City, OK. In 2005 I was asked to be the Bishop of this Fellowship of ministers and ministries. This is a great honor and responsibility. God is blessing and increasing PFAI in order to advance His Kingdom. For more information on PFAI, go to www.pfai.org. PFAI has a Bible College which gives God's people training to do His work in these last days. You'll find a "Bible College" tab on the website. Check it out. Please visit us soon. Check out our "Ministry Events" page to see any special services coming up and keep us in prayer as we go forward in the Lord. We are determined to fulfill Divine Destiny! God has promised a great harvest time in this area and we are beleving for it and are praying for wisdom to bring the harvest in. All praise to HIM!